“Mental Science is not a "get-rich-quick scheme", neither does it promise something for nothing. It does, however, promise the one who will comply with its teaching that he shall be able to bring into his life and experience greater possibilities and happier conditions." There are 7 steps or techniques that I will show you that will help simplify and enhance your knowledge and enable you to achieve your goals. First thing, I would like to give you something to think about: Metaphysics-For-Better-Living.com is a teaching website. So, before I give you steps for Law of Attraction and Manifestation I would like to prepare you. There is energy that moves in and around us, not so different than a guitar who's strings need a certain pitch to sound right. We need to be in-tune with the Universe or God. Example: You are talking to a friend and you say something maybe you did not mean to say, and then you here coming out of your mouth, boy that was stupid. 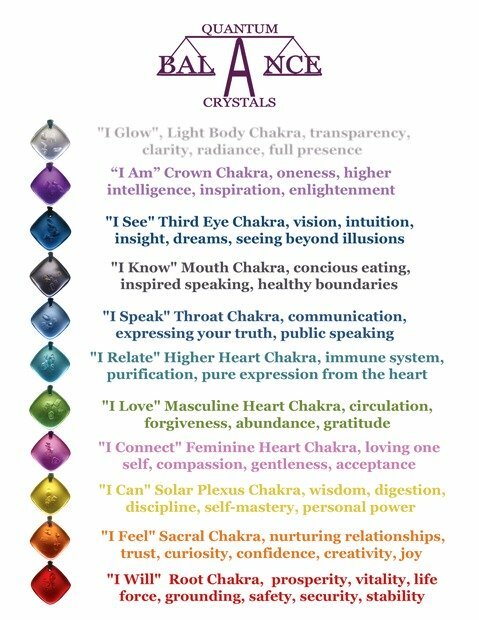 Here is where you need to be honest with yourself, deep done do you feel stupid, you know that feeling in the pit of your stomach, the one that causes anxiety. Well, if you can feel all that, (or enter your own example), and I once did, then that is why your life may not be getting better, you are attracting IT. The Law of Attraction does not think, it is simple Cause (what you are doing) and Effect (the result of what you are doing). It is that simple. Changing a lifetime of negative thinking you may find more challenging. Each step in this process leads to the next step. So, do not rush, you are fine tuning your consciousness and preparing it for completion. These are the Law of Attraction and Manifestation. 1: Choice- Make a list of all the things you would like to change in your life. What or who do you want to be. Make a complete list of goals, short term, next maybe 1 to 2 years away, then think a little longer term, what do you want to accomplish maybe 5 years from now. To start, especially if you are new at using these Law of Attraction and Manifestation or Techniques, choose something small, something believable for you (it will not do you any good if you choose $1,000,000 and you really do not trust that this will manifest in your life). So, start small and work your way up to your lives goals. You are complete and whole and already have everything you will ever need, but you have to choose it. Think of it as a huge buffet in the Universe. You may be starving but if you do not choose your food and claim it as yours, you will go hungry. 2: Recognition- This step is all about opening yourself up to God, or Universe or you choose to insert your own definition. See my page Positive Affirmation for more clarity. You are not just a physical human mass. You live life, you experience life, you are a part of Universal Mind. You are a part of the whole we call God. 3: Unification- Here you are unifying yourself with god. You might say: “I am a perfect expression of God. The power of the Universe moves in me, around me, there is nothing that is not God”. You are a part of the whole separate as yourself but connected to everything. Think of Universal Mind as an Ocean, you are this Ocean as a Wave. 4: Realization- Here you would state your choice from step 1, remembering the Law of Attraction, that your words are powerful and will be reflected back to you as you have spoken. You already have that which you desire it is in spiritual form and waiting for you to realize it. Joel Goldsmith said, “By acknowledging that we have, we shall demonstrate have”. Remember the power you are dealing with is not a personality it is a law, and if you have a real embodiment of your desires you can demonstrate. 5: Visualize- Steps 5 and 6 really go together. Get yourself in a good relaxed frame of mind and see that which you desire. I mean really see it, feel it if its a car drive it, experience the emotions that go with this. Really become a part of a part of your visualization. 6:Thanksgiving- By giving thanks we are establishing that it already done. Have an attitude of gratitude. Know that the Universal creative system is in operation an you have now received in physical form that which you have chosen. NOW, Awake! from your human sleep and feel the joy that comes with you now knowing your oneness with God. 7: Release- Action- You now release this spiritual treatment into Universal Intelligence or Mind knowing it is already done. Surrender it. Now do not just sit there waiting for God to drop it in your life. Go about your business with the confidence in your spoken word and the complete knowing that the law can not act, it has to act according to your actions. Benefiting from the Law of Attraction and Manifestation will vary for each individual depending on there level of consciousness. We attract that which we give. That which we think about most. Everyone one will benefit in some way because we are in constant growth. The More you want, The More you should Become. Just because we are not thinking it or seeing it, does not mean it is not there. The Law of Attraction Manifests whether we are aware or not. 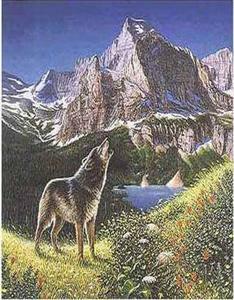 Example: Take a good look at the picture of the Wolf, there are more wolves hidden in the picture. Just because you did not see them, does not mean that they are not there. The point of this is you did not see the other wolves because you did not spend enough time observing the picture. The same thing happens with your thoughts . You are not aware of most of them but the Law of Attraction is still Manifesting.